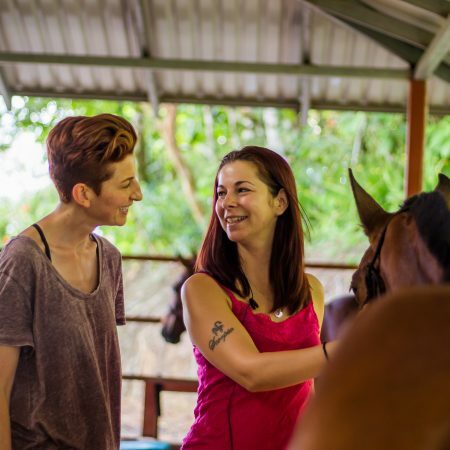 Each year I take a group of animal lovers to Costa Rica to experience the healing power of horses. The changes and soul level growth I’ve seen in the people who attend have blown me away. Want to hear how the horses helped their people GROW and SUCCEED in ways like never before? I’m getting together a whole bunch of people who have come on the Costa Rica trip with me in the past to talk about THEIR experiences with their horses. Don’t miss out on the fun! Submit the form below to sign up (for free) for this webinar! Read all about the upcoming October trip right here!